How to block road noise from house? Noise barrier walls residential are basically like ordinary curtains, except that they are made of thick sound absorption wool and sound proof cloth or PVC. If you are a parent of an emerging musician who are happy with their descendants playing musical instruments or singing, but when the child is trying to get more privacy in their room. Noise barrier walls residential can help block noise and keep privacy. Anyway, let’s take a look at the two different situations that need noise barrier walls in residential areas. When you practice musical instruments or sing, it is difficult to focus on playing the correct notes. The last thing you want is to be distracted from the outside of the room. 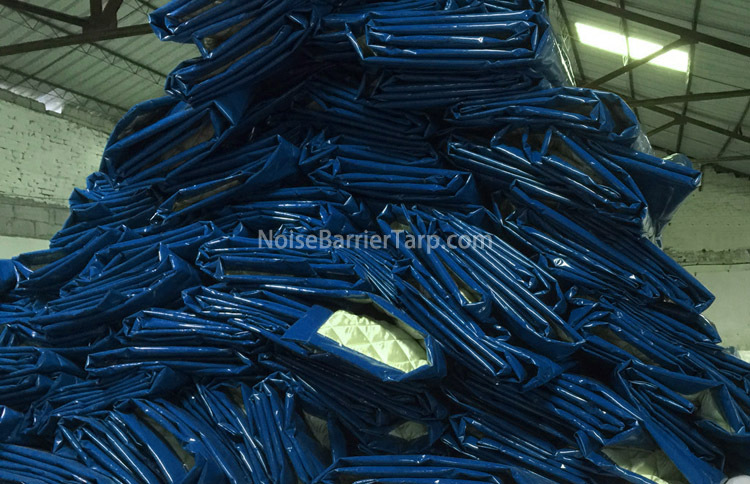 Noise barrier residential can block the noise from into the space where you are practicing. You will want to put them on all the walls and the windows. When the sound enters the room from the wall or the window, it propagates to the residential noise barrier. It is partially reflected back and partially absorbed. Only a small part of the noise from the outside will reach your place. When you are living near the room where the musician is playing, those noise barrier walls residential also played a role for you. No matter how good or bad they play, in your opinion, sometimes you just want your privacy and want to hear them. By placing noise barrier fence walls along the walls separating you from the practice room, you can also suppress the sound from the wall to you. When the musician also uses noise barrier in his room, the effect is effectively doubled. Noise barrier walls residential are made of heavy materials that can effectively absorb sound, including voice and musical instruments over a wide range of frequencies. Sound absorption is particularly important for practicing musicians in the room. If the sound of the curtain will only reflect the sound back to the room, then the echo will affect the original sound thus distract the musicians. This is why the sound screen sound absorption function is essential for singers or musicians. To learn more about sound barrier wall residential, please contact us. To learn how to block out road noise in a garden or how to reduce road noise in backyard, please click here.